Evergreen shrub in mild climates. Moderate growth. Large maple-shaped dark green leaves grow on upright arching branches. 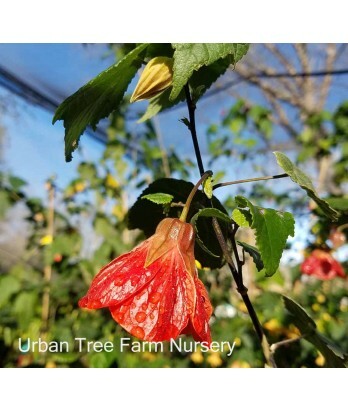 Bright orange hanging bell-shaped flowers bloom intermittently throughout the year. Attracts hummingbirds and other beneficial pollinators. Deer resistant. Moderate water needs once established. Requires good drainage.